Hold on to your plasma cannons as DC's newest fighter makes his way to the Philippine stage! Today, AsiaPOP Comicon Manila 2017 (APCC Manila) unveiled American actor Ray Fisher, aka Cyborg, from Batman v Superman: Dawn of Justice and the highly anticipated film Justice League movie, as one of the guests at #APCCPH2017. Fisher will be the first Hollywood celebrity headliner to take on the biggest pop culture event in the country. APCC Manila 2017 is slated from August 25 to 27 at the SMX Convention Center in Pasay City. Victor Stone, aka Cyborg, is a former college athlete turned cybernetic warrior through the mysterious power of an otherworldly living machine known as a Mother Box. Cyborg is the latest addition to DC's Justice League, an organization of Earth's greatest superheroes dedicated to protecting the world from its greatest threats. 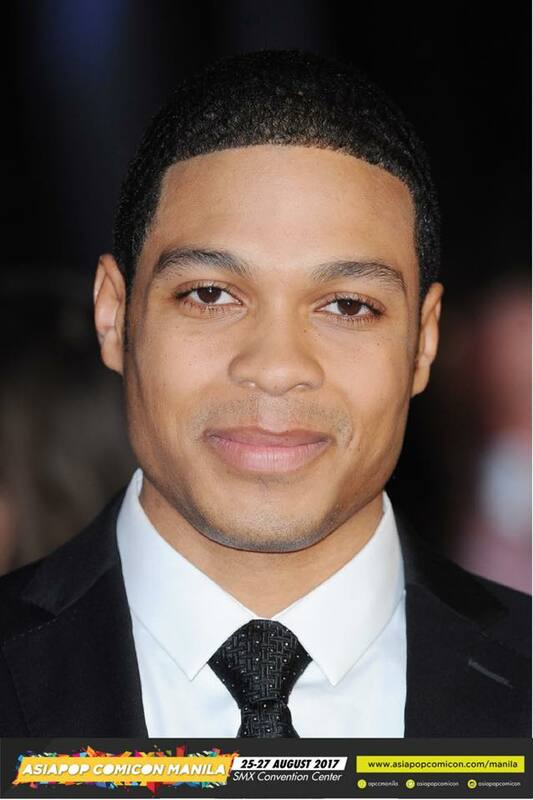 “We have always believed in bringing unique talent and content to AsiaPOP Comicon Manila and this year is no different as we are bringing one of the brightest talents and potential future superstar, Ray Fisher who is reprising the role of Cyborg in the forthcoming blockbuster Justice League and will continue to be key superhero character within DC Universe” said Abdulla Mahmood, Director, Marketing and International Business, Al Ahli Holding Group. “Die-hard DC fans who were craving for a superhero talent have their wishes fulfilled as they will get an opportunity to interact with Ray Fisher as Cyborg." In 2020, Warner Bros. is said to release a solo Cyborg film, where Fisher will reprise his role as Victor Stone/Cyborg. Fisher’s performance as Cyborg marks the actor’s big screen debut. His past performances include a brief appearance in the period television drama, The Astronaut Wives Club, and various theater productions across the United States, including his portrayal of Muhammad Ali in the New York Theatre Workshop's Off-Broadway production of Fetch Clay, Make Man. works and share their talents to their fans. These include Whilce Portacio, Carl Potts, Shoji Kawamori, and Serena Kozuki. has done notable works, including the titles Uncanny X-men, X-Factor, The Punisher, Heroes Reborn: Iron Man, Wetworks, and Spawn, among others. The talented inker and penciller was also a co-founder of the Image Comics and he has currently returned working independently for Image, DC and Marvel. For his part, Carl Potts, who has worked as an Executive Editor in Marvel Comics for 13 years, is well- known for being the mentor of some of the top comic artists including Jim Lee, Whilce Portacio, Scott Williams, Art Adams, Lary Stroman, Jon Bogdanove, and Terry Shoemaker. He created Alien Legion and the graphic novel Last of the Dragons. His book, The DC Comics Guide to Creating Comics: Inside the Art of Visual Storytelling was also published by DC/Watson-Guptill. He is currently working on a graphic novel project called The Flying Column. 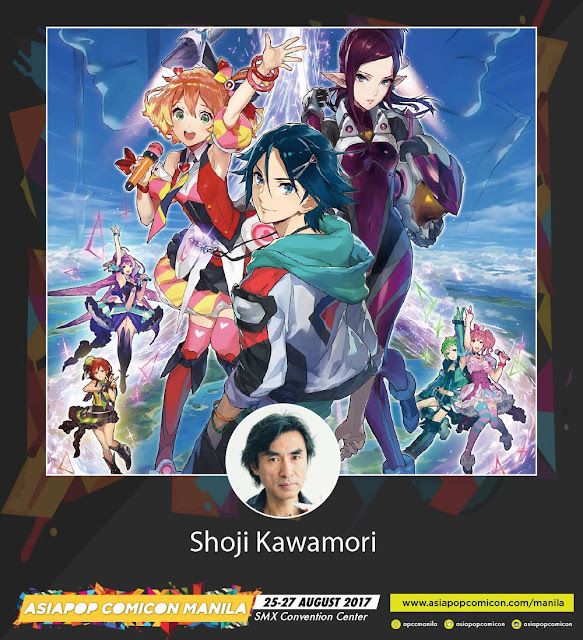 Under the title of “Vision Creator,” Shoji Kawamori acts as a creator of original works, an animation director, a scriptwriter, a mecha designer and many other roles. Being one of the original creators of the animated TV hit Macross–which became part of a series known as Robotech outside Japan—he played a major part in developing one of the important factors that popularized the Japanese anime phenomenon worldwide. He was also one of the designers of the Diaclone line of toys, which later became known as the Transformers, including now ubiquitous “Optimus Prime.” His designs can be found in a wide range of media, from animation, and video games to live-action movies and commercial products. Adding rhythm and beat to the fun that is APCC is solo Japanese idol Serena Kozuki, who will serve as the event’s musical guest. Serena is widely known for the song Shake the DiCE, which is the ending song of a popular Japanese Anime, light novel and Manga franchise titled, TenchiMuyo! Ryo Ohki. She is known as “Live Monster” onstage and is admired for her performing styles, which vary from sweet and girly to rock-hard livewire. Serena performs for over 200 live shows yearly. 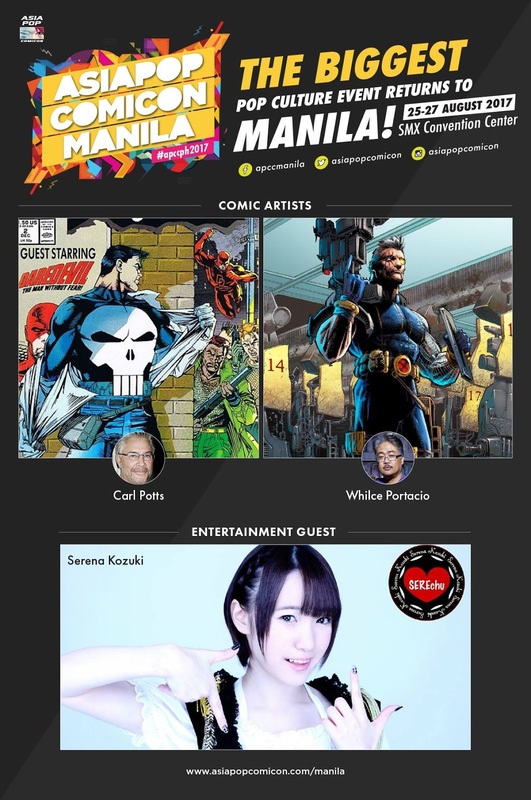 APCC Manila 2017 tickets are now available via SM Tickets website, https://smtickets.com/, or at all SM Tickets outlets, with ticket prices a t PhP600 (one-day pass), PhP900 (two-day pass), and PhP1,100 (three-day pass). All these will give the ticketholder access to stage activities, performances, and the main show floor. The event is free for children aged five years and below for all days, but a valid identification is required for verification purposes before entering the show floor. is available for purchase at SM Tickets online (https://smtickets.com/events/view/5868) and SM Tickets outlets while supplies last. Collector's Pack includes 1/12 Scale Iron Man “Shotgun” Collectible Figure, 1x APCC 3-Day Pass, 1x Special Edition Captain America Comic Book from Comicave Studios, and 1x APCC 2016 Tote Bag.